A woman has many roles to play life-a daughter, sister, wife and mother. The most important of these roles is that of wife. Only after becoming a wife a women becomes a mother which brings fullness to her life. 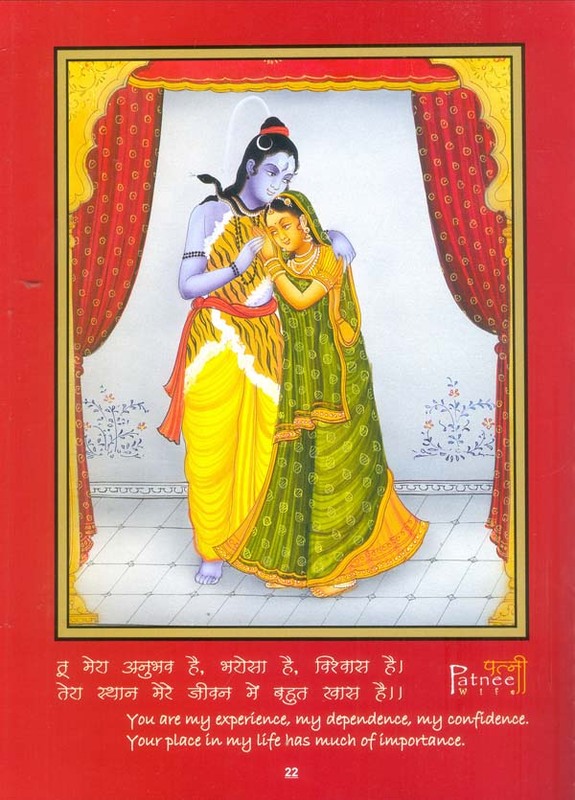 Epics, Puranas and other literature extol the importance of wife to a husband. She is a friend, philosopher and guide to him. In times of plenty al relatives and friends flock to a man like bees and ants to a ripe fruit, but at times of adversity a man will find only his wife by his side to give support, solace and encouragement. Probably because of this characteristic of a wife is she called “better hall”. This book is a small attempt to express love, affection and feelings of a husband for his wife with the objective to inspire all women become good and virtuous wives worthy of adoration by their husbands. In Hindu thought Parvati or Uma or Sati is considered an ideal wife, who together with her consort Shiva make a perfect couple or aadarsh dampati. 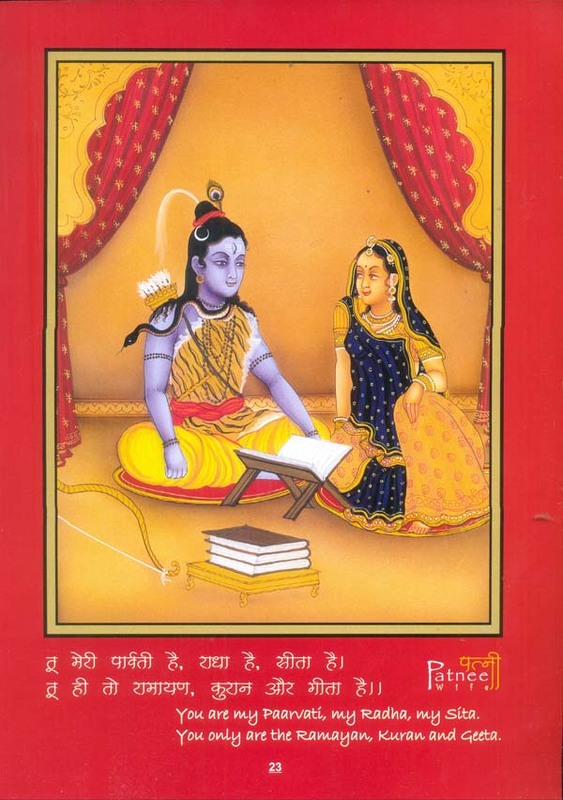 Another made-for-each-other couple - the Kogatas -have beautified the book with pleasing illustration of Parvati and Shiva as the ideal couple. The delightful verses add sweetness and charm to the book. Mr R.N. Kogata and Mrs Lalita Kogata have probably the world’s biggest creation and collection of more than 7,800 types of statues/idols and paintings of Lord Ganesha. They run a Ganesha Gallery as well in Udaipur, Rajasthan. Other books authored by them are Maa - the Mother, Pita - the Father, Pati - the Husband in the eyes of Wife, Insaan and Indian Marriage - Customs and Rituals. The Kogata couple have already created 1,000 different paintings of Lord Ganesha based on the 1,000 names of the elephant-faced god Ganesha as given Hindu scriptures. Mr. Kogata is a Chartered Accountant and Company Secretary by profession and Mrs Kogata is post-graduate and a part Company Secretary. They have two sons, Devashish and Kushagra. Devashish is also an artist and has already made more than 700 pencil sketches on Lord Ganesha. 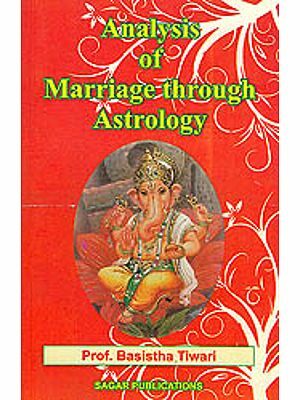 Most people today lack a basic understanding of what is marriage and also the importance of wife, who is the centre of gravity for any house. As the time passes after marriage, the life of most of the people becomes routine and most men take their wives for granted without realizing the hard work and sacrifice she has done for the family. In fact, a woman plays a vital role in the family and keeps the family knit together. A wife is normally a lifetime companion at times of prosperity, distress, famine, subduing of enemies and in a graveyard, whereas other relatives may not always remain with you. A wife always wishes for her husband’s good only even if the husband is not good, and serves him with love and affection and therefore such wives are called Pativrataa, devoted to the husband. It is said, respect your wife and make every effort to keep her happy; for a good wife and health are a man’s best wealth. Fortitude, Courage, Tolerance, Flexibility, Patience, Firmness, Sacrifice, Blessings, Love, Affection, Faith, Belief, Kindness, Mercy and nearly every other brave aspect of human soul is possessed by a woman, who has many forms - a mother, a wife, a sister, a daughter and so on. A woman can be very humble, loving, sacrificing, understanding and supporting to you if respected, but can also take the form of Goddess Durga, Kali and Chandi, if she is not happy and satisfied and not respected. Wife gives you the power and patience of fighting with all the problems of the world. The man should become his wife’s cheerleader and should not become a social butterfly but should be really supportive to the wife. For the kind of role a wife plays in the life of a man and his whole family, her debt can only be paid back by becoming part of her dreams, becoming her friend, making her your world, avoiding inhibitions coming in the way, talking together, walking together, thinking together, understanding, listening to her patiently, becoming her sounding board, realize her hard work and sacrifice, encouraging her and not nagging, respecting and allowing her to fulfill her wishes, paying her compliments, appreciating her work, gestures and ideas, doing everything for her with inner joy of giving, admitting your mistakes gracefully, giving her due time, and soon. By the poem presented in the book, we are not only reminding the male community about the importance of wife but also about the indispensable place she occupies in each and every family. This book is a small attempt by us to express our respect and gratitude towards all the wives of the world, without whom the families would lose not only the peace, happiness and harmony but also social standing, confidence and respect. We are grateful to His Highness Shreeji Arvind Singh Mewar for his worthy guidance from time to time. We prostrate before our parents Shri Bhairav Lal Kogata and Smt Kanchan Devi Kogata and Prof K.M. Nuwal and Smt Kamla Devi Nuwal and all our family members for their beloved blessings, without which we would not have reached this stage.